Minneapolis Enacts Plastic Bag Ban June 1! MINNEAPOLIS – Grab those reusable shopping bags. Beginning June 1, the city of Minneapolis will begin a ban on many types of plastic bags. The measure came after feedback from the public, with many worried about waste and environmental impact plastic bags have on oceans, lakes, streams, and storm drains. Grocery Bagging Championships are Real! 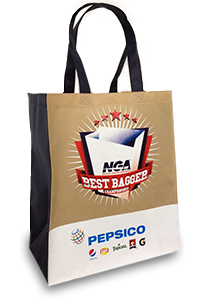 To the surprise of many, there is a national championship for the fastest grocery bagger. NBC’s Joe Fryer meets a young pro training for the title and Sheinelle Jones goes head-to-head with Craig Melvin to see who can bag the best. N'Take bags have been used at the championship for several years. N'Take would love to celebrate Earth Day with you! Enjoy this promotion on your next bag purchase. 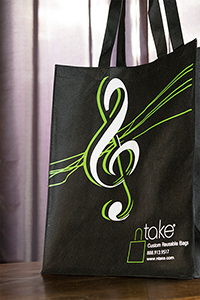 Guests were gifted a huge gift bag by N'Take Custom Reusable Bags, filled with goodies. 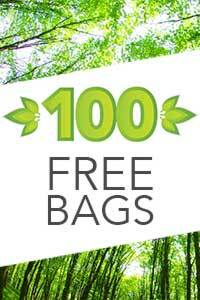 N'Take believes putting more into every bag, for our clients, their customers and the environment. "Guests included Paul McCartney, Bruce Springsteen, Beyoncé, Carrie Underwood, Adele and Michelle Obama." HARTFORD — Connecticut would join Hawaii and California in banning plastic bags at retail checkouts under a proposal that would bring Westport’s successful 5-year-old ban to the state’s other 168 municipalities. Lobbyists for the state’s supermarkets are opposed to it, but with a new Legislature and new leadership on its Environment Committee, state Rep. John Hennessy, D-Bridgeport, believes the measure can pass this year, especially after California’s statewide ban was approved in September and will take effect in July. Cutting down on the use of plastic bags is a waste-management tool, creates fewer emissions at garbage-to-energy plants and takes away wind-blown bags from trees and bodies of water. California Gov. Jerry Brown signed the nation’s first statewide ban on single-use plastic bags Tuesday. The measure, first proposed by Democratic Sen. Alex Padilla of Los Angeles, would prohibit single-use plastic bags at grocery stores and large pharmacies in 2015 and at convenience stores in 2016. About 100 local jurisdictions in California already have adopted similar bans, including Los Angeles and San Francisco. HARTFORD, CT (WFSB) – One state lawmaker is now hoping more people will make the switch to cloth bags, and is calling for a tax on plastic bags. 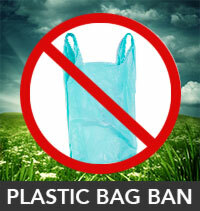 That’s what environmentalists are hoping for – a ban on plastic bags in Connecticut. Close to 100 cities and counties across the country have already done it, the biggest city being Los Angeles. People in those cities told various news outlets that the ban is working fine.